Product marketing and labelling is covered by our Purpose, Social/relationship capital as well as our responsible citizenship programme. Our Excellence value incorporates products and services. The group is committed to ensuring that all products sold have the certification, labelling, product and service information required by law. This informs customers and is fundamental to providing optimal solutions. Appropriate handover procedures for all products ensure customer knowledge about health and safety operating procedures and service requirements. Original Equipment Manufacturers’ recommended inspection, maintenance and safety system upgrades and training programmes are explained and promoted to ensure customer health and safety. Responsible citizenship includes legitimate and fair marketing communications. Our value of Integrity states; 'We are fair, honest and open in our communications'. Group standards ensure that all marketing and advertising conforms to applicable laws. The standards and corporate identities set by principals are adhered to. These are detailed and comprehensively monitored by Barloworld divisional operations and their principals. Any local adaptations require prior consent from principals. We are also guided by the standards set by industry bodies such as the Advertising Standards Authority who have self-regulation codes of practice that ensure appropriate conduct in advertising and marketing communications. Customer databases and related communications are decentralised into the operations and independently run at a business unit and regional level. The group is committed to ensuring that all products sold have the certification, labelling, product and service information required by respective local laws. Products are essentially motor vehicles, plant, equipment and related use thereof. In principle, the information and labelling is the responsibility of the Original Equipment Manufacturers (OEMs). This information is conveyed to customers in handbooks, handover procedures and, where appropriate, displayed on the vehicle, plant or equipment. The group strives to ensure that all products have information and labelling as required by the respective local authority’s health and safety laws as well as those laws that pertain to safety and health in the mining sector, where applicable. Information also includes vehicle, plant and equipment operating procedures, maintenance procedures and service intervals and safety. The group is committed to delivering quality products and services, responsible corporate citizenship and complying with relevant legislation. The group is committed to fair, honest and open communication, responsible corporate citizenship and complying with relevant legislation. Overarching Group standards as well as divisional standards ensure that all marketing and advertising conforms to applicable laws. The standards and corporate identities set by principals are adhered to. These are detailed and comprehensively monitored by Barloworld divisional operations and their principals. Any local adaptations require prior consent from principals. 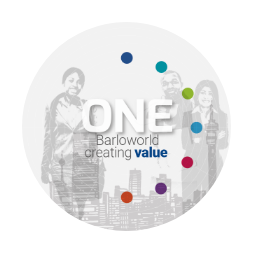 Barloworld Logistics and group brands are managed by established functions at divisional and group levels. We are also guided by the standards set by industry bodies such as the Advertising Standards Authority who have self-regulation codes of practice that ensure appropriate conduct in advertising and marketing communication. Incidents would be thoroughly and independently investigated and appropriate action taken. The company can be contacted should there be further enquiries in this regard.